Doodlebug Page Protector Assortment 8"X8" 12/Pkg - DOODLEBUG-Storybook Album Page Protectors. 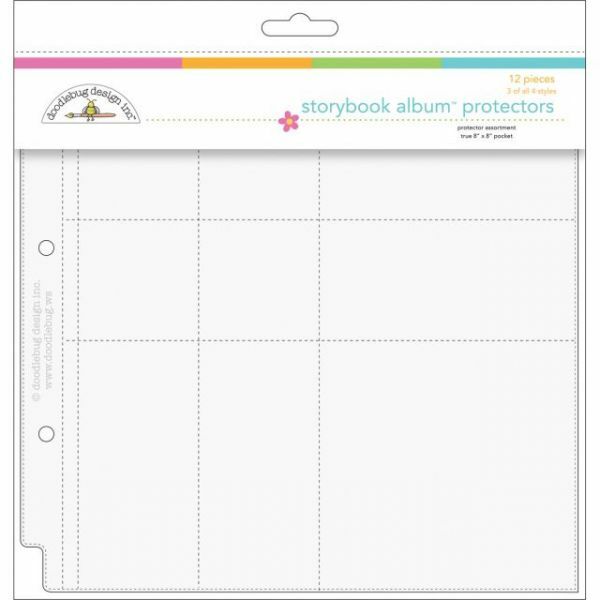 This package contains twelve page protectors for use in 8x8 inch Doodlebug Storybook Albums. Included are three each of four different pocket configurations, all of which are made using high-quality materials that won't yellow with age or stick to photos. Acid and PVC free, archival quality. Storybook Album not included. Imported.